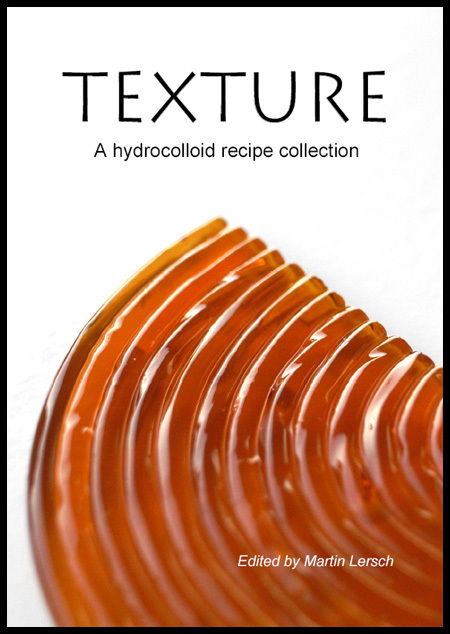 I’m happy to finally announce the first edition of a recipe collection devoted mainly to hydrocolloids. Totaling 111 recipes, it’s available for download as a pdf file (29 pages, 433 kB). 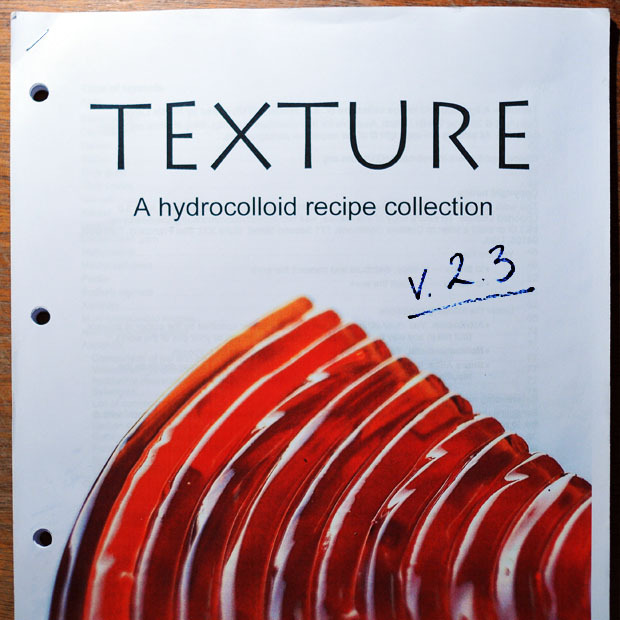 Update: The collection has been revised and is now available for download (more than 220 recipe, 73 pages, 1.8 Mb). In the recent years there has been a tremendous interest in molecular gastronomy. Part of this interest has been directed towards the “new” hydrocolloids. The term “new” includes hydrocolloids such as xanthan which is a result of relatively recent research, but also hydrocolloids such as agar which has been unknown in western cooking, but used in Asia for decades. 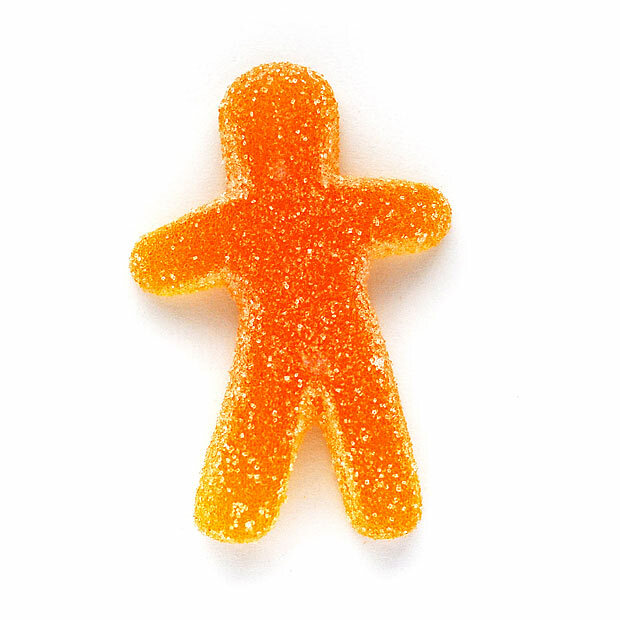 One fortunate consequence of the increased interest in molecular gastronomy and hydrocolloids is that hydrocolloids that were previously only available to the food industry have become available in small quantities at a reasonable price. A less fortunate consequence however is that many have come to regard molecular gastronomy as synonymous with the use of hydrocolloids to prepare foams and spheres. I should therefore emphasize that molecular gastronomy is not limited to the use of hydrocolloids and that it is not the intention of this collection of recipes to define molecular gastronomy. One major challenge (at least for an amateur cook) is to find recipes and directions to utilize the “new” hydrocolloids. 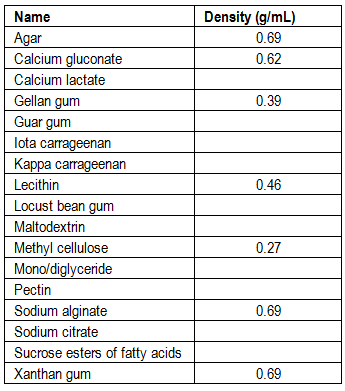 When purchasing hydrocolloids, typically only a few recipes are included. Personally I like to browse several recipes to get an idea of the different possibilities when cooking. 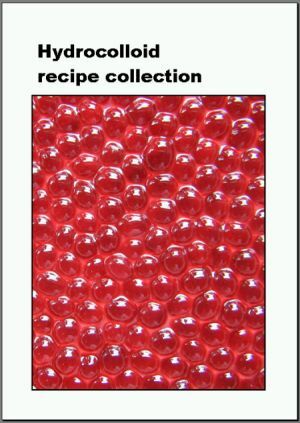 Therefore I have collected more than 100 recipes which utilize hydrocolloids ranging from agar to xanthan. 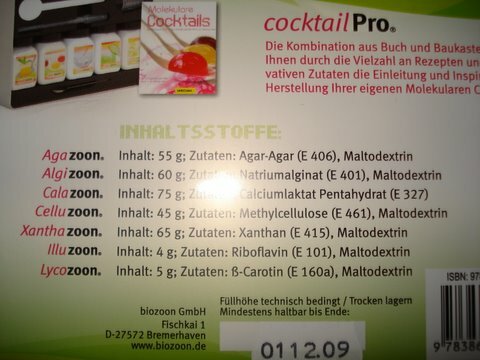 In addition to these some recipes with lecithin (not technically a hydrocolloid) have been included. Recipes for espumas that do not call for addition of gelatin or other thickening agents have also been included for completeness. All recipes have been changed to SI units which are the ones preferred by the scientific community (and hopefully soon by the cooks as well). As far as possible, brand names have been replaced by generic names. Most of the recipes have been edited and some have been shortened significantly. In some recipes, obvious mistakes have been corrected. But unfortunately, the recipes have not been tested, so there is no guarantee that they actually work as intended and that the directions are complete, accurate and correct. The recipes have been collected from various printed and electronic sources and every attempt has been made to give the source of the recipes. Since recipes can neither be patented nor copyrighted, every reader should feel free to download, print, use, modify, distribute and further develop the recipes contained in this compilation. The latest version will be available for download from http://khymos.org/recipe-collection.php and will also be announced at https://blog.khymos.org. Feedback, comments, corrections and new recipes are welcome at recipe.at.khymos.dot.org.